A Christmas gift for Southland SPCA! This year we felt inspired by our namesake, Billie the Black Dog, to give up “Secret Santa” and spread the love to our beloved four legged friends instead! 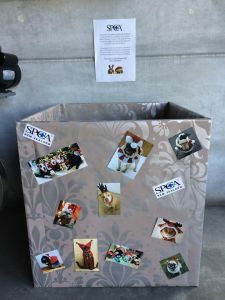 We have placed a donation box in the Fiordland Cinema foyer for SPCA Southland as they rely on donations and are always in need of food… help us stock up on food, toys and treats for us to deliver in time for Christmas! Does your pet have a Christmas costume? Bring them in for a photo and they can star on our Facebook page to help us promote the donation box, let’s see how many we can fill!